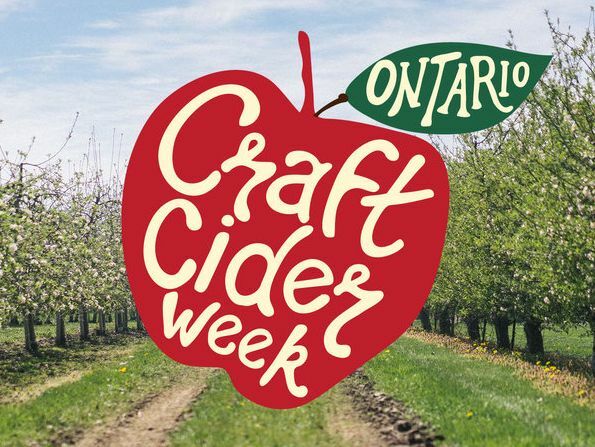 1) Ontario Craft Cider Week kicks off today with events across the province. 2) Hard Cider Sales Rebound After Two Years of Declines according to Nielsen data obtained by Forbes. 3) The Biodiversity Heritage Library releases its Pomology: Apples and Cider collection with online access to the Herefordshire Pomona, the Vinetum Britannicum, and other classic texts. 5) Cider Culture explores how cheesemakers use cider in Made with Cider: Jasper Hill Willoughby Washed-Rind Soft Cheese. 7) Harry’s Cider of Somerset is the Supreme British Champion and Johnny Fall Down of Cork is the Supreme International Champion at the British Cider Championships at the Royal Bath & West Show. And Old Monty Cider of Mid Wales is the Champion Producer at the Welsh Perry & Cider Society Championships. 8) Entry registration is open for the Australian Cider Awards and the inaugural Japan Cider and Perry Awards. 9) On tap this weekend: the Hudson Valley Cider Festival (New York), Melick’s Hard Cider Festival (New Jersey), the opening of Minnesota Cider Week, the International Cider Festival (Rotterdam), and World Cider Day. 10) Along Came a Cider reviews 2 Towns Pearadise and WildCraft Hard Cider. Cider Says reviews Shacksbury Spritz and Aspall Perronelle’s Blush. I Think About Beer reviews Cyril Zangs Ciderman. Cidercraft reviews Cidrerie Milton Cid Rosé. CiderScene reviews Treehorn Miyabi. Cider Table reviews Uncle John’s Apple Blueberry. Cider Couple review Cold Hollow Cider Mill Barn Dance. The Cider Drinker reviews 6 Somewhere Sweet. Cider Explorer reviews Dunkertons Breakwells Seedling, InCide Holunder, and Maeloc Sidra Extra Ecológica. Cider from Poland interviews Cydr Chyliczki. And Real Cider Reviews previews the Festival Ciders at GABS Sydney and reviews Willie Smith’s Whisky Aged Cider 2016.